Deep learning for nuclear reactors; GaN droop; solid sodium battery. Inspecting nuclear power plant components for cracks is critical to preventing leaks, as well as to control in maintenance costs. But the current vision-based crack detection approaches are not very effective. Moreover, they are prone to human error, which in the case of nuclear power can be disastrous. To address this problem, Purdue University is developing a system that uses deep learning and neural networks to examine individual video frames to look for cracks. Purdue ECE doctoral student Fu-Chen Chen, and Mohammad Jahanshahi, an assistant professor in Purdue’s Lyles School of Civil Engineering, co-authored a paper that detects cracks in overlapping “patches” in each video frame, while the data fusion algorithm scheme tracks the crack from one frame to the next. Purdue said this approach achieves a 98.3% success rate, which is significantly higher than other state-of-the-art approaches. The system can pinpoint and follow images of the crack from one frame to the next, accounting for changing configurations due to the moving camera. “The algorithm mimics the ability of human vision to scrutinize cracks from different angles, which is important because some cracks are obscured by the play of light and shadow,” the university said. Purdue has filed a patent for the technology. 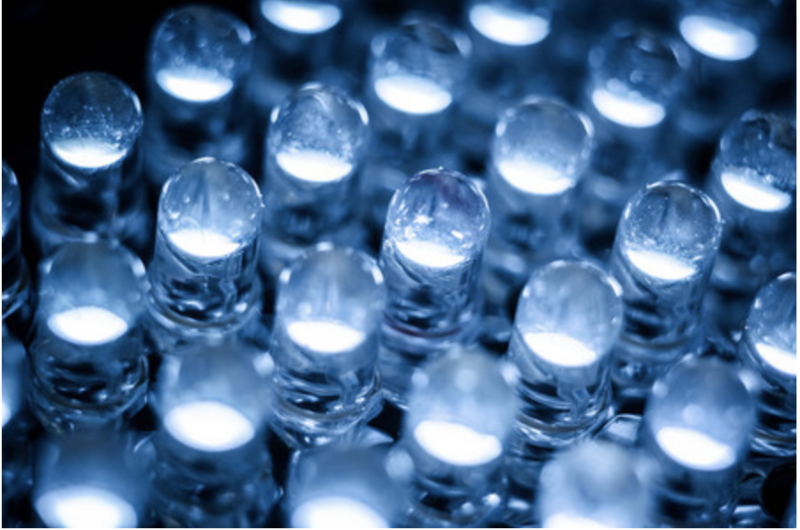 LEDs used in semiconductors are mostly made from GaN (gallium nitride), and they generally are considered dependable and safe. But they are not particularly efficient, particularly when the voltage is scaled up. This causes a phenomenon known as “efficiency droop.” A new study shows the coupling between electrons and thermal vibrations may be depleting energy from LEDs. Marco Bernardi, assistant professor in the Division of Engineering and Applied Science at Caltech, is leading a team that developed new computational methods to study the origin of efficiency droop in LEDs. The study focuses on GaN at an atomic level and how lattice vibration, known as background hum, impacts electrons in the material. “Our work shows for the first time that the ever-present interaction between electrons with lattice vibrations can, by itself, explain why excited electrons can leak out of the active layer and account for inefficiencies in GaN LEDs,” says Bernardi. Current lithium-ion battery technology is costly and has a track record of serious safety issues in certain conditions. 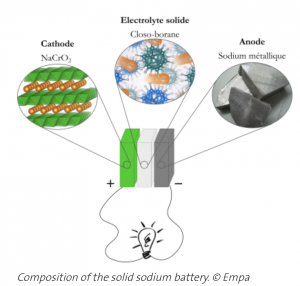 To address this, researchers have developed a new battery prototype called “all-solid-state” based on sodium. The battery potentially can store more energy more dependably, for less money, and is considered safer than existing battery technology. 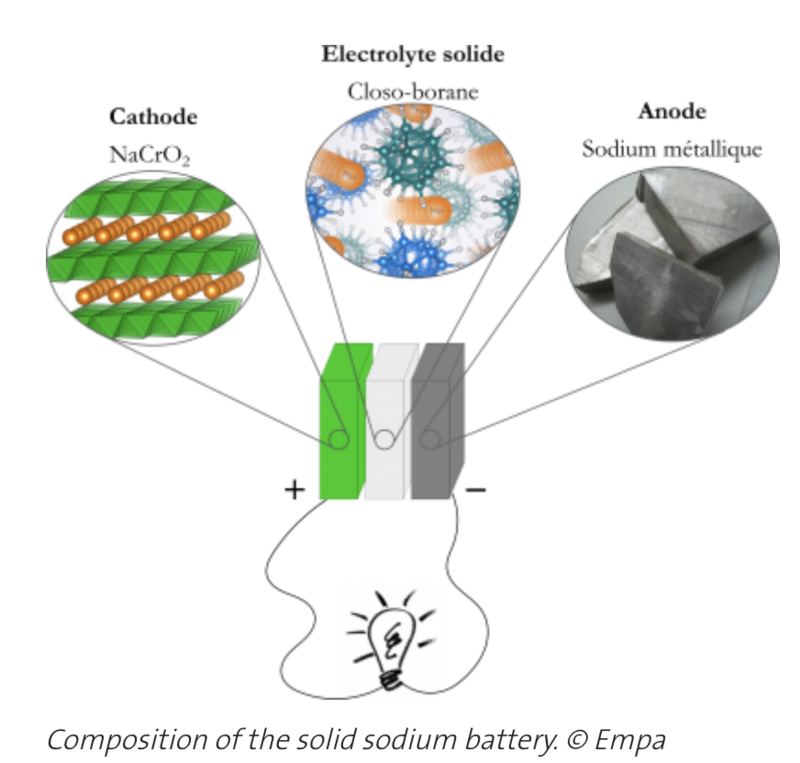 Researchers from Empa, the Swiss Federal Laboratories for Materials Science and Technology, and the University of Geneva (UNIGE), Switzerland, have developed a prototype battery based on the new technology. “The electro-chemical stability of the electrolyte we are using here can withstand three volts, whereas many solid electrolytes previously studied are damaged at the same voltage” says Arndt Remhof, a researcher at Empa and leader of the project. Experiments are still ongoing to test the prototype at room temperature and do more cycle testing before this technology reaches the market. The research is supported by Swiss National Science Foundation (SNSF) and the Swiss Competence Centre for Energy Research on Heat and Electricity Storage (SCCER-HaE).